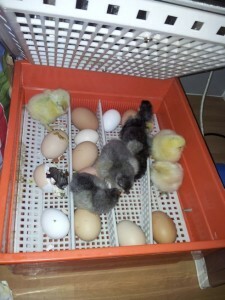 Spring is well and truly upon us and Easter is not far away, so it’s time for some eggs to go into the incubator. We always like to have some chicks about the place at Easter and younger guests in particular love to be able to hold them and feed them while they are here. This year we’ve gathered 20 eggs from a wide variety of hens so we are really excited to see what hatches out in three weeks! 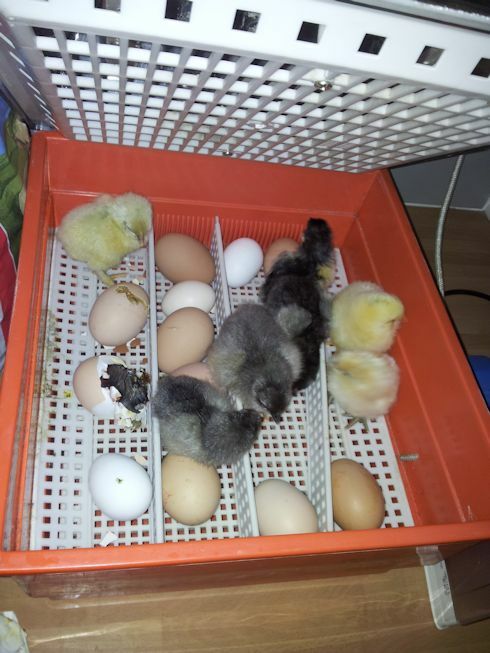 Hatching eggs in the incubator is normally a much more reliable method of ensuring a nice bath of chicks. While it’s great to see a hen bring on a brood of chicks, sometimes, she will give up long before they hatch. This entry was posted on Saturday, March 2nd, 2013 at 1:49 pm	and is filed under News. You can follow any responses to this entry through the RSS 2.0 feed. Both comments and pings are currently closed.